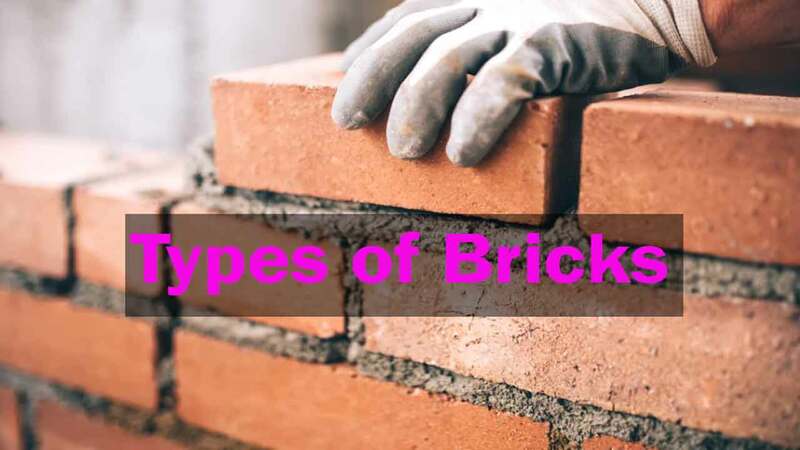 Classification of Bricks | Types of Bricks. You’ll know different types and classification of Bricks below in details. It is now established that even in remotely ancient civilizations bricks were the common material of construction. It is believed that first-time bricks were used, in sun-dried form (unburnt Bricks), in Egypt some 6000 years ago. Excavations of prehistoric sites in the world have revealed that bricks were used abundantly. Even at present, brick is the most basic and favored material for common construction throughout the world. This may be attributed to a number of advantages it offers over other available materials of construction like stones and concrete. These may be summarized as follows. 1. Availability: Since clays are available almost universally, bricks can be made out of them in every region. This is not true either for stone or of concrete. 2. 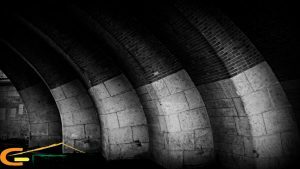 Construction Methods: Brickwork has become a traditional profession, and very experienced skilled bricklayers are available in all villages, towns, and cities. This is not so with stones, where experienced hands are less easily available. With concrete, only a very experienced and qualified person can handle the construction work. 3. Size, shape, and handling: Bricks are made in “ready to use” sizes and shapes which are very convenient to handle and use. For stones, a good deal of dressing is absolutely essential. In the case of concrete, an elaborate formwork and shuttering are basic requirements, and its transport and laying require great care and caution. Where bricks are not available locally and have to be transported from far-off distances, the locally available stone may give a cheaper construction. Such a situation, however, arises only in hilly areas which are located much away from main towns and cities. Classification of Bricks Based on Modification in Shape. Description of important Fire Bricks or Refractory Bricks. (a. ) Fire Clay Bricks. There are two main types of Bricks. These bricks are dried through sun light. It is also called Sun-dried Bricks. They have very low strength as compared to other types of bricks. 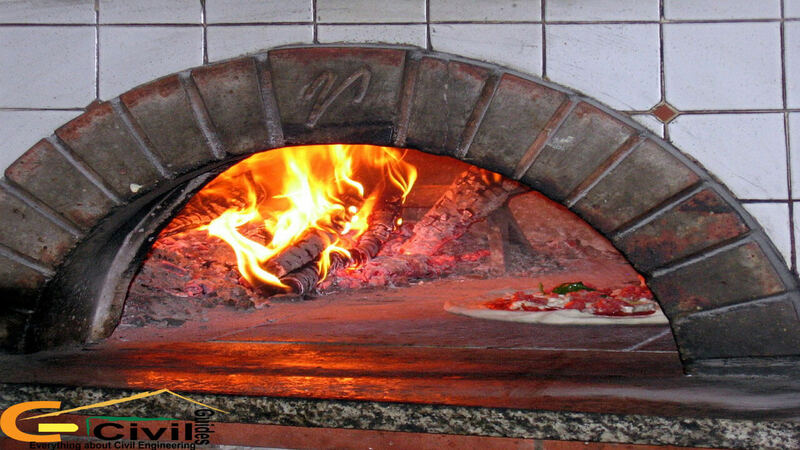 The bricks which are used commonly in today’s age are burnt bricks. They are prepared and burnt in a kiln. They have high strength as compared to unburnt bricks. They are further classified into the following categories. These are 19 x 9 x 9 cm in size. They are made from good earth, free from saline deposits. They should be thoroughly burnt. They should be of good color. They should be of regular shape with square edges and parallel faces. These bricks are free from flaws, cracks, chips, stones, etc. They should give a ringing sound when two bricks are struck together. Its compressive strength shall not be less than 140 kg/cm2. And they shall not absorb more than 20% of water when immersed in water for 24 hours. USE: Excellent for all types of construction in the exterior walls. They are also suitable for flooring. Second class bricks are also fully burnt and give a clear ringing sound when struck together. Slightly irregularities in shape, size or color are accepted. Its compressive strength shall not be less than 70 kg/cm2, and absorption value should not be greater than 22 percent when soaked for 24 hours in water. Slight difference in the structure on fractured surfaces is admissible. Use: For exterior work when plastering is to be done. And can also be used for interior works but they may not be used for flooring. These are not burnt so fully as in previous two cases but are generally of uniform reddish yellow color. Defects in uniformity or shape are tolerated. On striking together, they produce a dull thud sound. Its compressive strength lies between 35 – 70 kg/cm2 and absorption between 22 – 25 percent. Use: They are used mostly in the ordinary type of construction and in dry situations. These types of bricks are irregular in shape and dark in color which is due to overburning. They are quite strong in compressive strength, generally above 150 kg/cm2 and low in porosity and absorption. Use: Despite their high strength, these types of bricks are unfit for use in building construction. This is because of their distorted shape and irregular size. broken form, in road construction, foundations and floors as a coarse aggregate material. Ordinary building bricks are typically rectangular in shape, solid in structure and made from a Suitable type of brick-clays. In building construction, however, bricks of modified Shapes, porous or hollow structure and also made from materials other than clay are also sometimes used. A familiarity with this Special classification of bricks is quite important for a construction engineer and an architect. We Shall discuss them below. In construction, there are positions where a perfect rectangular shape brick will not be suitable. It has to be modified. Such bricks are required in the plinth, the corners of the walls and at the copings. There is a long list of such Special-Shaped bricks… We will discuss the important ones here. They are cut on one corner at an angle of other than 90 degrees. They are required for giving shape to an exterior or interior corner in a wall. These have a level or portion taken off, width wise, length wise, or in both directions. The various shapes grouped under splay bricks are made for use in jambs of doors and windows and also in plinths. They are used for coping on walls in order to give them a nice appearance and also for easy drainage of water. When a coping is to be provided to a wall, a special shape may be desired. 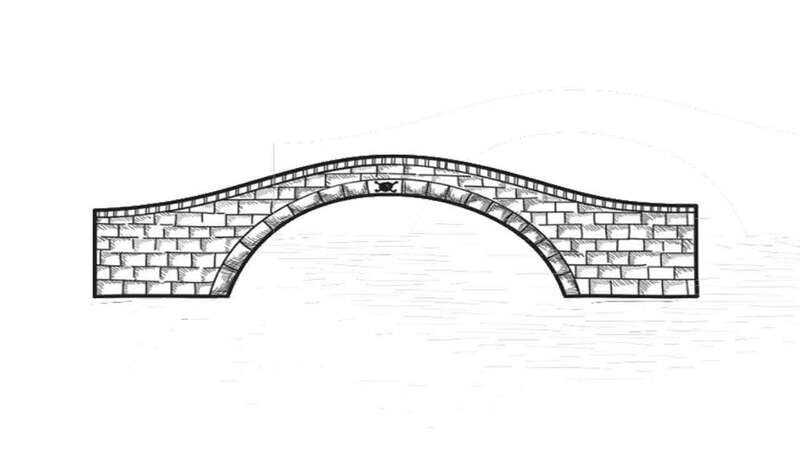 The chamfered, the half round, and the saddleback bricks are some common coping bricks. Bullnose bricks are used at turns of the wall so that round corners are obtained. It is a standard brick having one edge rounded. It is similar to bullnose, but it has both edges rounded on one side. It may also be called double bullnose bricks. They have the same use as bullnose, but they just give additional roundness. Three types of bricks shall be discussed under this category. These form a modem class of building bricks that have many advantages over the ordinary solid brick. 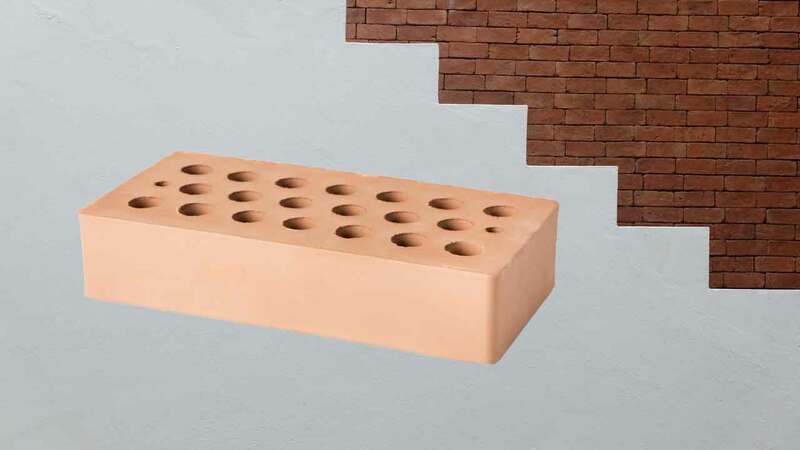 In perforated bricks, cylindrical, rounded or rectangular holes are made in the bricks after the molding stage. These holes are called perforations. They are properly spaced from the side of the brick, and the minimum distance is 15 mm. Further, a distance between any two perforations is not less than 10 mm. The volume of the perforations may be as much as 20 – 50 percent of the total volume of the brick. They may be larger in size than ordinary building brick which is a distinct advantage in that work output of a Mason will increase considerably with the use of perforated bricks. (i) They are light in weight. (ii) Less quantity of clay is required for their manufacture. (iii) Less time is required for drying and burning of perforated bricks. (iv) These offer better resistance against rain penetration and better insulation against heat. As such they are ideally suited for tropical countries. (v) Efflorescence is least in perforated bricks. (vi) These are especially suitable for the construction of brick panels in multi-story structures. Perforated bricks have as yet to find popularity in all countries although they are already widely used in Germany, France, and America. Already there is a trend for their use. 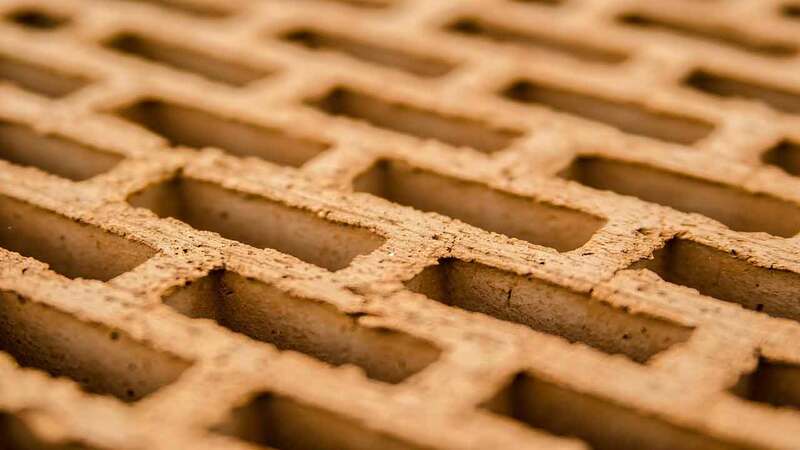 The manufacture of perforated bricks requires slightly sophisticated technology, and that is the main reason for lesser use in all over the world. 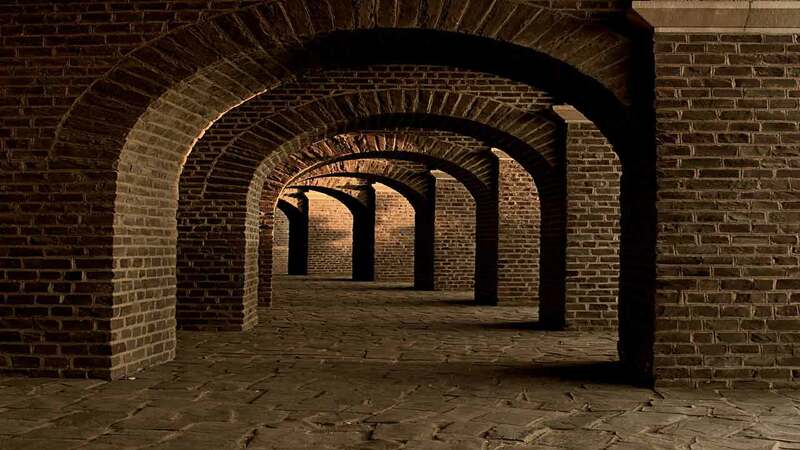 Hollow bricks also called cavity bricks or cellular bricks they have well-defined sets of cavities with specified dimensions made in the body of the brick. As a result, their net weight may be only one-third to one-half of the solid portion. It is important that the thickness of the brick wall near the cavity should not be less than 2 cm. The hollow bricks are made from a special type of brick clay (which should have higher clay content). They offer the following advantages over the ordinary types of bricks. (i) Being light in weight, they can be handled more conveniently, and the output of the mason may be three to four times compared to ordinary bricks. (ii) They offer better insulation against heat and sound. (iii) They are ideal and economical for non-load-bearing walls, e.g., in partition walls. They are actually special purpose bricks baring a continuous central semi-circular cavity or depression running through their length. Very often they are glazed to make them impervious: They are mostly used in the laying of drains. We will discuss 2 major classification of bricks here below. Definition. These are building bricks made from sand and lime as the raw materials instead of clay. The clay content may be only negligible. They differ from ordinary clay bricks not only in composition but also in the method of manufacture. They are, however, similar in shape and size to the ordinary types of bricks. (1) Sand. It must be free from harmful impurities like chloride, iron oxides, black minerals and organic matter. Sand forms around 90 percent of sand-lime bricks. (ii) Lime. It is used in the form of a slaked (hydrated) lime. Its content varies from 8-12 percent. The slaked lime used for brick making has high calcium-content and should be free from magnesium. Besides the two essential components, some clay (up to four percent) in finely divided form is desirable. Pure, salt-free water (not sea water) is another requirement. For giving a required color to the sand-lime bricks, some pigments are added in small percentages to the ingredients at the mixing stage. Iron-oxides for red and brown color. Chromium Oxide for green color. Carbon black for Grey and black color. Molding. After mixing the finely powdered raw materials in the desired proportion, a damp mixture is obtained adding 2-3 per cent clean water. From this damp mixture, brick-shaped units are molded using ROTARY PRESS. Pressures applied range from 300-600 kg/cm2. Such high-pressure results in highly compressed and dense sand-lime bricks which are almost dry at this stage. Autoclaving. The molded units are put into an autoclave (a steel cylinder with the closed end where heating is done by steam under pressure). It is in the autoclave that sand and lime react chemically and form a chemical compound, calcium-silicate. That is the chemical composition of the sand-lime brick. The sand-lime bricks taken out from the autoclave are ready for use. Properties of Sand Lime Bricks. (i) The sand-lime bricks have a very smooth and uniform finish and a pleasing appearance. (ii) They are quite dense, strong and hard. (iii) They are least porous and hence free from efflorescence. Because of these properties, sand-lime bricks offer many advantages. (i) They are uniform in shape, size and finish and hence require no plastering. (ii) The quantity of plaster when required is quite less because of the smooth surface of the brick. (iii) They are water repelling and hence free from absorption related defects of ordinary bricks. 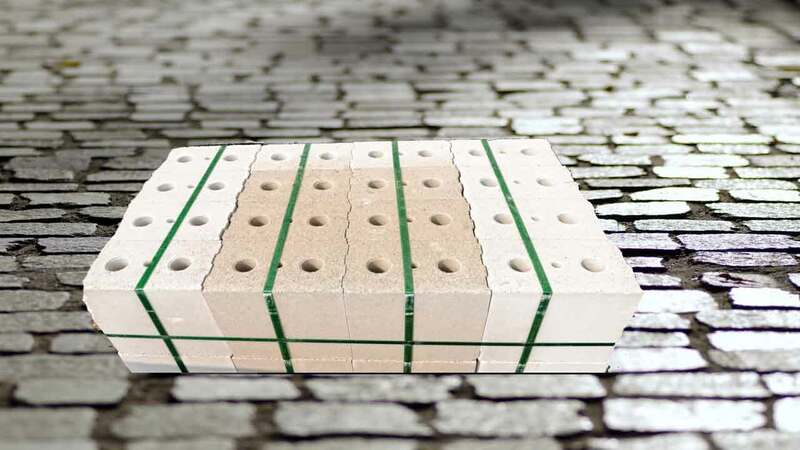 (iv) Since the materials required for sand-lime bricks are also quite common in occurrence, these can provide a suitable alternative to clay-bricks. We should know that most clay used in making bricks is from agricultural lands and hence its conservation will help in increasing food production. (i) They can be manufactured only by using mechanized methods. Hence their production at village levels is almost impossible at present. (ii) They are unsuitable for foundations and paving uses. In the first case, they get damaged in the presence of water, and in the second case, it is because they have poor resistance to abrasion. The Scope of Use. In Western countries, sand-lime bricks are used quite widely. Sooner or later, they will have to be introduced in other countries too on a large scale. Definition. This is a separate group of bricks which is capable of withstanding in very high temperatures without undergoing any deformation in shape or size and without reacting with the material of a particular composition. Their use is restricted to the making of inner walls of furnaces for the manufacture of metals and for similar high-temperature applications. (a) Acidic Bricks. They are resistant to the melts of acidic composition (but will react with the melts of basic composition). Example: Fire-clay bricks, silica bricks. (b) Basic Bricks. They are resistant to the melts of basic composition. Hence they will not be suitable for use in those furnaces where acidic melts are being heated. Examples: Magnesia bricks, Bauxite bricks. (c) Neutral Bricks. They are non-reactive to both the acidic and basic melts. Hence these find applications in heating either type of melts. Examples: Chromite bricks, Chrome-magnesite bricks. The Raw Materials are first crushed in to the required size and then blended are mixed thoroughly in the presence of required quantity of water. After this process Brick are molded manually or by using Machines such as “Presser“. The molded Bricks are dried and then burnt in a very high temperatures, generally between 1600 to 2000 Centigrade. After this Process they are allowed to cool very gradually. These constitute are an important class of refractory materials of acidic group. Raw material for its manufacturing can withstand at very high temperatures without fusing or softening. Such clay are often available under the coal layers in nature. Silica ( 65-75 Percent) and alumina (25-35 Percent) are the two main constituents of Fire Clay. They are free from impurities like oxides of calcium, magnesium and iron. The maximum permissible upper limit for all such impurities is 5 Percent. These are manufactured in a manner similar to the common building Brick. The selected clay is crushed to the fine powder and molded into the brick unit. These are than dried and burnt in Continuous kiln at very high temperature (1600 to 1900 centigrade). They are cooled gradually before taking out from the kiln. They are divided into three types on the basis of temperature. High Duty. (1482 to 1648 Centigrade). They have high resistance to palling, high bearing capacity and low coefficient of thermal expansion. They are commonly used as a lining material in steel making furnaces and reverberatory furnaces. These are made up mostly of silica, which may range from 95 percent or above. The remaining material is generally calcium oxide that act as binding agent. These are acidic in character. Their raw materials is pure quartz (SiO2), or sandstone of high silica content. The molded unit are burnt in about 1500 Centigrade. They are extensively used in Bessemer Converter as lining material because slag in that case are acidic in nature. They are classed among the basic refractories. There raw material is magnesium oxide. The major source for it is Dolomite rock. They also form a very important class of Basic Refractories. They are made from the rock Bauxite ( Al2O32H2 ) which are mixed with some clay (Fire Clay type ). They are belong to the neutral class of refractories. Raw material used for these Fire Bricks is a mineral called CHROMITE. The mineral is double oxide of chromium and iron in its composition. 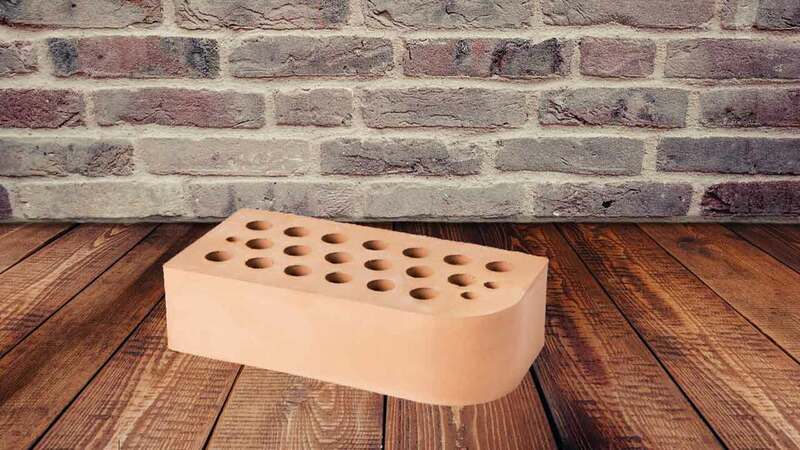 These types Refractory bricks are capable of resisting both the acidic and basic environments in a furnace. These type of fire brick are commonly used in the steel making furnaces. So the above is the classification of Bricks. If you have any question regarding the types of bricks, Please let me know in the comment section. If you like this article, then don’t forget to share it. Read Also: A Detailed Guide on Classification of Soil. Thank you, Sir. Every stuff related to bricks are nicely elucidated. I really liked how you described the first class bricks and that they are free from any flaws and had good color. You also mentioned that they are perfect for all types of exteriors walls as well as flooring. I might give this a try then as I am planning to build a wall to surround the property that I recently bought. Only a first-class brick will suit it, for me, since the property is an old building constructed during the late Victorian period. tHanks a lot , very good informations. would you please describe more points about vacuum press methode of producing the bricks & terracotta & machineries needed ? Thank you so much for describing more briefly about types of Bricks.